O people of imaan! 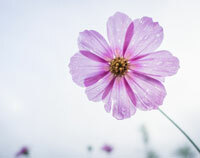 Fear Allah Ta‘ala as He should be feared, and do not die except as Muslims. In it are clear signs (among which is) the Maqaam-e-Ebrahim. 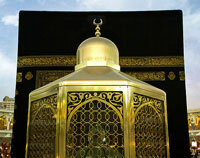 Maqaam-e-Ebrahim refers to the stone on which Nabi Ebrahim (‘alaihis salaam) would stand when he was building the Ka‘bah. As the height of the building rose, the stone would automatically rise, lifting Nabi Ebrahim (‘alaihis salaam) so that he could continue to build the Ka’bah, and when it was time for Nabi Ebrahim (‘alaihis salaam) to return to the ground, the stone would automatically descend. In this verse of the Quraan Majeed, Allah Ta‘ala explains that the Ka’bah is the very first house constructed for His worship. 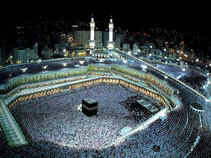 It was Nabi Aadam (‘alaihis salaam) who initially constructed the Ka’bah after descending from Jannah. 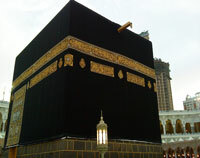 Allah Ta‘ala also mentions that the Ka’bah is a means of barakah (blessings) and guidance for people. However, in order for one to benefit from the blessings of the Ka’bah and gain guidance, it is necessary that he understand the sanctity of the area and conduct himself correctly. If one fails to respect the Ka’bah, Haram, musjid, etc., as they ought to be respected, and one commits sins in the vicinity of these symbols of Deen, then despite the Ka’bah being a source of immense barakah and guidance, one will return home bereft of blessings and guidance.